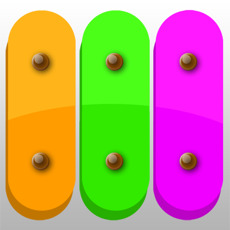 Xylophone HD application for Kids with age 2-7. It come with 5 music notes which kids can play along and learn. It build up the kids music foundation and available for iPod Touch, iPhone, and iPad. -Basic 8 nodes easy to learn. -Highly detailed animation with note vibrate animation. -White bar note indicator for easy follow up. -New and Noteworthy featured app. -Playable for everybody and fun for all ages. 5 popular kids learning songs. Enjoy Xylophone with your kids and have fun.